Little did I know when we first signed up two years ago how much my life would change. 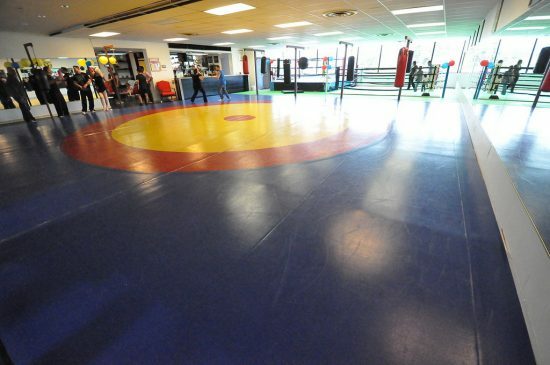 Where I used to kick back after work, now I spend a few nights a week rolling around, sparring, and feeling sore for days! It’s been a lot of fun, but challenging. One of the coolest things about Brazilian Jiu Jitsu is just how many of the key lessons apply to growing a business. Brazilian Jiu Jitsu, described fondly by one of my instructors as “the most fun you can have in your pajamas,” is a grappling art. You focus on getting your opponent to the ground, controlling them, and forcing them to submit or “tap out” with chokes and joint locks. It seems strange from an outsider looking in (the uniform, called the gi, does kind of look like pajamas!) But there are actually some really cool, practical lessons I’ve applied to grow my business. 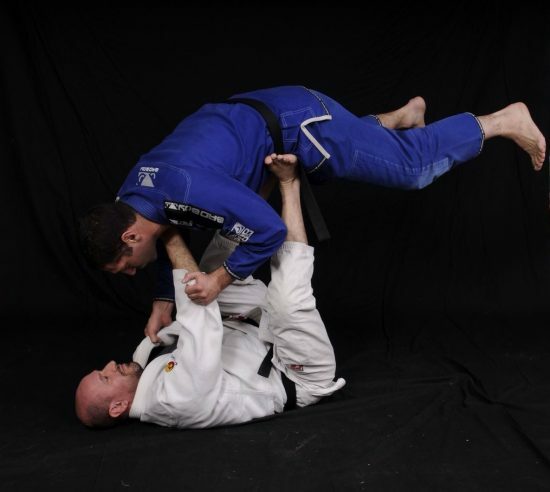 Done right, Brazilian Jiu Jitsu doesn’t require size or strength. It negates those advantages and empowers smaller people to dominate larger ones. I’ve seen a tiny woman spar with a man who outweighed her by probably 150 pounds – and beat him again and again. Brazilian Jiu Jitsu is all about leverage and technique. Just ask my wife! When we practice our techniques at home, she’s able to get them to work on me just as well as I can get them to work on her. The temptation for beginners is to use brute force. But that just leaves them worn out and breathing hard while more experienced opponents take advantage. I was all too guilty of this when I started my business. I tried to force things, grow my client base by brute force and 14-hour workdays that left me exhausted and burned out. That work ethic definitely has a place… but it’s no substitute for knowing what you’re best at and working more intelligently. Do you know what your leverage point is as a business owner? A lot of people don’t. They see themselves as generalists and try to do it all on their own instead of spending more time on activities that make the most impact. Even if you know your leverage point, how much time are you spending on it every day? If you’re a marketing consultant, this means helping your clients present their businesses in a compelling way. 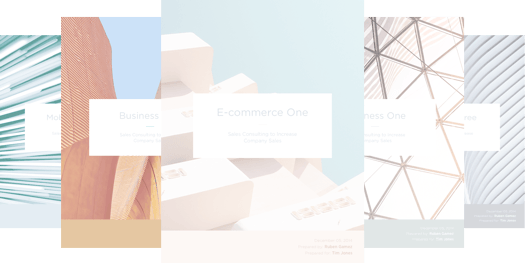 If you’re a graphic designer, it’s creating beautiful work that customers love. Growing your business might not take a huge shift on your end. It might just take restructuring how you spend your workdays. The better you can maximize the time you spend on your leverage point (and minimize the rest), the more impact you’ll make. 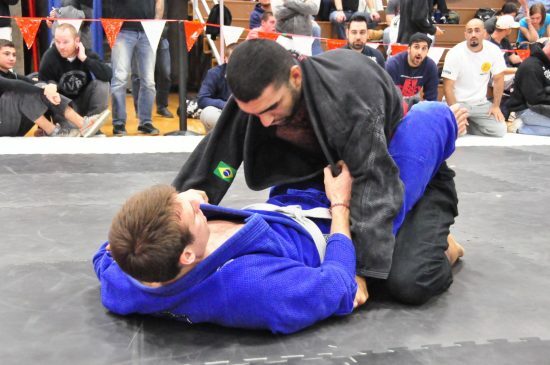 The goal of Brazilian Jiu Jitsu is to get your opponent to submit. When you put them in a situation where you could cause them a lot of harm, whether it’s a joint lock or a choke hold, they tap out and you start sparring again. Naturally, everyone wants to learn the submission techniques when they first start training. Things like arm bars, collar chokes, and toe holds look cool! One of the biggest beginner mistakes – one our instructors love to harp on – is getting so focused on the submission that you overlook the position you have to be in to make it work. Trying to force a submission when you’re not positioned properly leaves you in a dangerous spot, giving your opponent the advantage. “Position, then submission” is one of our mantras. Advanced practitioners work hard to get in a dominating position. Once they’re where they need to be, they can set up a whole bunch of different submission options… bad news for the guy or gal they’re sparring with! Sometimes, the person they spar with even moves in a way that creates an opportunity where there wasn’t one before. There are plenty of parallels to business here. We want explosive growth. We want to absolutely dominate our niches. Who wouldn’t? Sometimes we get so caught up in those things that we neglect the fundamentals. We try to force an opportunity when we’re in a bad position, like trying to launch a product when its quality hasn’t been proven. Or advertising so much that we run into inventory issues. Worst of all, trying to hit the gas all the time and being out of position makes it impossible to really seize opportunities that do come our way. If you stay mindful of your position, you can attack growth opportunities from a posture of strength. If a hole in the marketplace presents itself, you can act fast to fill it – instead of worrying about overextending yourself. Ever have someone who’s really good at something show you how to do it? You think you understand them perfectly… until you try to do it on your own. That’s exactly what happened to me when I started training BJJ. My instructor would demonstrate a technique a few times. Then, when it was time for us to partner up and drill it, my mind would just go blank. People told me this was normal! It sure didn’t feel that way, though. Not until I kept going and months later that cloud finally started to lift. I saw how complicated moves broke down into smaller basic sequences. 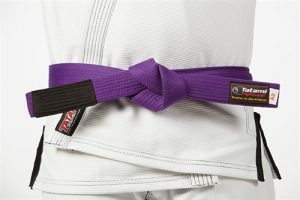 It’s recognizing those little details – paying attention to them – that allows a black belt to pull off a technique so effortlessly, while a white belt struggles through every movement. The same goes for business. If you’re doing okay right now, you probably have a decent grasp of the fundamentals. Develop an attractive product or service. Find customers. Serve them, gather feedback, and improve. Your path to growth might not lie in doing something radically different, but by paying more attention to the details. Think about how much more potential your business would have if you just changed the way you approached your day. How could you spend more time focusing on what matters and delegating or eliminating the rest? How could you shave a spare thirty minutes from your schedule to study your niche? Take some time to examine your processes now. Remember, you and a business “black belt” are doing the same techniques. It just might be time for you to tighten things up, to smooth it out and achieve better results with less inefficiency. That’s what one of my favorite instructors likes to say. I didn’t understand exactly what he meant by that early on, but after training for two years now, I see where he’s coming from. One thing has remained constant since I started training: a sea of new faces. A lot of people get excited about starting, but after a month or two you stop seeing them. The core of “regulars” is a lot smaller – probably only around 10% of the entire membership. Brazilian Jiu Jitsu is a lot of fun. But it’s also a heck of a commitment. Sometimes the motivation isn’t there. After a long workday, the thought of driving to our gym, working out, and sparring with a group of trained killers (many who are younger and more athletic than I am) seems… less than appealing! But it’s amazing what happens once my wife and I walk through that door. Once we start class, we get into it and the motivation comes later. This happens in business too. It’s super easy to feel motivated when you’re just getting started – when you have big dreams of becoming a massive success. But what happens when reality sets in? Clients are reluctant to pay invoices. The market doesn’t respond like you predicted. Your customers aren’t thrilled by your latest product. It’s how you adapt in these situations that determines your potential as an entrepreneur. Going through tough times is stressful. But it’s an invaluable real-life education. You’re building skills to solve problems and build your endurance. Stop waiting to feel motivated to develop that new product or launch that next marketing campaign. Focus on what you can do today to chip away at your long-term goals and move closer to success. You can’t control the results, but you can control your actions and your effort. Those are great places to start. Just keep showing up, even if it’s tough right now, and be open to changing your strategies when the unexpected happens. Every day you’ll inch that much closer to the success you dream of – and mastering the skill of being an entrepreneur. Even after two years of training, I still get butterflies in my stomach just before class starts. Sounds crazy, but it’s true. That’s actually one of the coolest things I’ve taken away from Brazilian Jiu Jitsu. That feeling of playing on the edge of your comfort zone, of pushing beyond it and challenging yourself to grow. Those butterflies might not ever go away completely. But they’re a lot better than they used to be. Most importantly, I’m more confident in my ability to respond in those pressure-packed situations. Where it’s natural for beginners to freak out during sparring, I can slow things down a bit and remember to breathe. If you’re looking to grow your business substantially, that means wading into the unknown. It means taking your products or services to the next level. Or maybe even exploring a different business model you’ve never considered before. Those things can be scary. But navigating them takes you this much closer to your vision of success. It’s easy to fall into your comfort zone once you’ve established a regular customer base, but that puts you at risk of getting beat by bolder competitors. Even if you aren’t ready to take one of those big leaps in your business yet, you can start preparing yourself now. Eleanor Roosevelt’s advice “do one thing every day that scares you” is a good blueprint to follow. 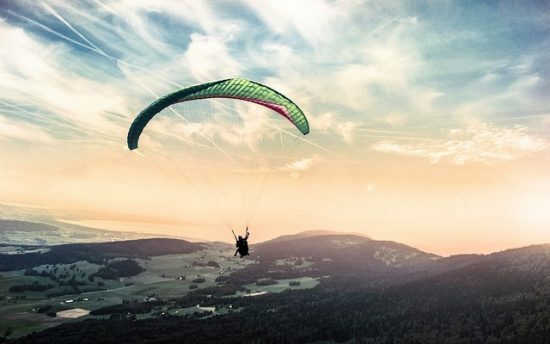 Just the practice of facing your fears in one area builds confidence and translates into other areas of your life – including growing your business. You can find inspiration to improve your business almost anywhere you look. For me, one of the best sources is Brazilian Jiu Jitsu. Whether you’re a martial arts fan or not, you can appreciate some of the key strategies that make for good Jiu Jitsu practitioners – and apply them to grow your business. Do you have any hobbies that give you insights into how to improve your business? If so, how? Leave a comment below and share your experience!